August can be painfully hot in Spain, particularly in Madrid and Seville, so most people head to the beaches. While Spain doesn't get as much rainfall as other European countries, some rain is a possibility at any time of year. There are two main reasons not to be in Madrid in August. Firstly, the heat is unbearable - the sticky, humid type that takes your breath away when you head out of your air-conditioned hotel (what do you mean you didn't book air conditioning? Get your money back!) Secondly, because of the heat, most locals head to the beaches, so you won't find many of your favorite bars and restaurants to be open. The humidity brings a little rain with it occasionally, but not much. The average maximum temperature in Madrid in August is 90°F/32°C and the average minimum temperature is 61°F/16°C. Barcelona doesn't get quite as hot as Madrid in August, but there is a similar exodus of locals at this time of year. However, with a more developed tourist industry than in Madrid, more of what you want to see will be open in Barcelona. Rain isn't unheard of in August in Barcelona, but there won't be much. The weather in the Catalan capital in the summer is reliably warm and dry. Temperatures oscillate around the 30°C mark (86°F) throughout the month, dropping a few degrees at night, meaning your days will be hot but not uncomfortably so, but your nights don't get very cool, which may be awkward for getting to sleep. Barcelona in early August is hot but not painfully so. Expect temperatures to reach around 30°C (86°F). Nighttime temperatures drop a little but not much, meaning it will still be quite warm when you're trying to get to sleep. Does your hotel have air conditioning? August 5 Averages High: 26°C. Low: 20°C. August 5 Records High: 31°C. Low: 15°C. Barcelona's weather doesn't change much as we get further into August. Still expect warm temperatures in the mid-80s Fahrenheit, barely dropping at night as the warm Mediterranean keeps the city in the mid-70s Fahrenheit. August 15 Averages High: 26°C. Low: 18°C. August 15 Records High: 32°C. Low: 17°C. Late August and still there's little change. Pretty hot in the daytime, dropping a little at night. August 25 Averages High: 24°C. Low: 18°C. August 25 Records High: 33°C. Low: 17°C. These numbers are according to the Weather Underground Almanac. Those looking for a turbo-tan will love Andalusia in August, though the more sensibly-minded will probably find Andalusia too hot at this time of year. Seville gets the hottest temperatures of anywhere in Europe during August and the city is emptier than Madrid. Avoid Seville and head to the coast if you want to visit Andalusia in the hottest month of the year. 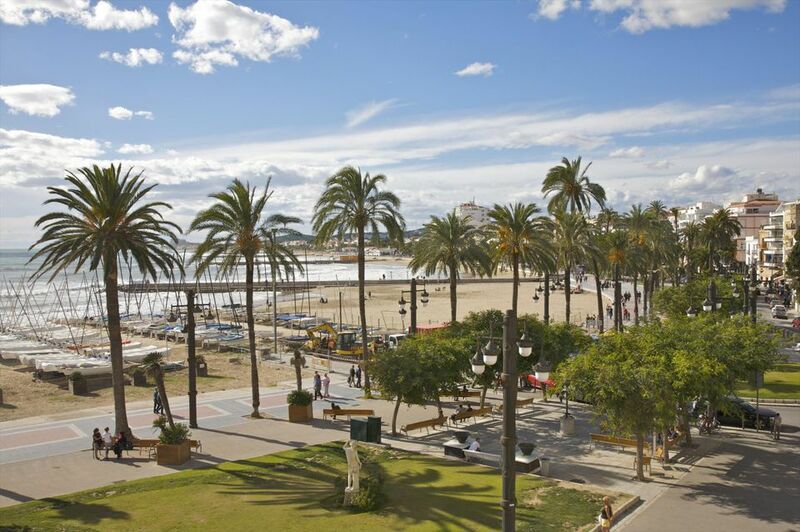 The average maximum temperature in Malaga in August is 82°F/28°C and the average minimum temperature is 64°F/18°C. Finally, the north has something to be happy about - the weather is generally warm in August and rainfall has fallen considerably. This is a good time of year to visit the region, though those on a short break may find themselves there during one of the region's still-frequent wet spells. The average maximum temperature in Bilbao in August is 77°F/25°C and the average minimum temperature is 61°F/16°C. It's a similar story in the North-West. Galicia and Asturias get less rainfall in July and August than at any other time of year, but there is no guarantee the weather will be great all the time (there really never is in Galicia!). Temperatures will be warm but not as hot as in central and south Spain. The average maximum temperature in Santiago de Compostela in August is 72°F/22°C and the average minimum temperature is 61°F/16°C.